This is a giclee print of the original painting reproduced on heavy Archival A3 size paper using pure pigment inks. 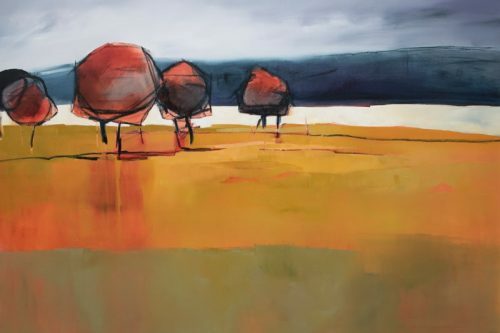 The giclee print is carefully wrapped in protective plastic and packed in either a large diameter cardboard cylinder or flat reinforced envelop for posting to ensure product quality on arrival. All prints from Sara Paxton Artworks are limited edition. 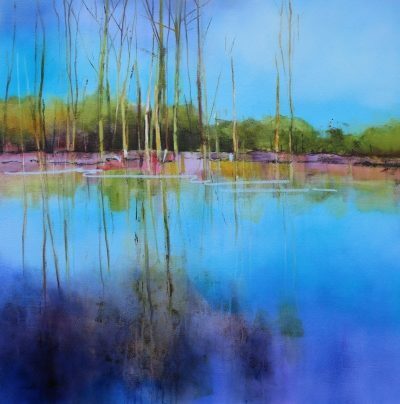 Sara Paxton Artworks high quality giclee print of Reflected Trees is produced using only the finest archival materials. Hence only pure pigment inks and 100% pure cotton archival heavy weight fine art paper are used. As a result your print will be of the finest quality and will not fade. 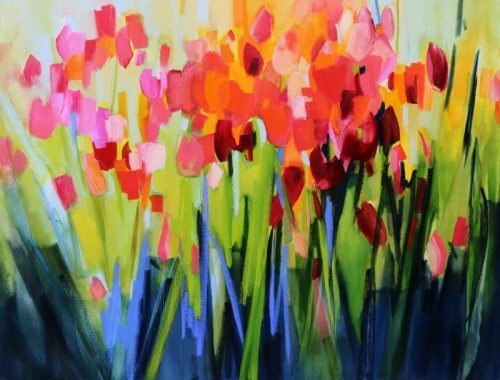 Sara Paxton Artworks high quality giclee prints are reproduced on A3 size fine art paper [297 x 420 mm (11.7 x 16.5 in) width x height]. The image is centred on the paper with a white border. The border size will depend on the shape of the original painting. 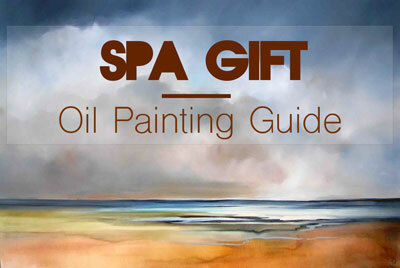 This is done to ensure that the proportions of the original painting are reproduced authentically in the print. In addition, we use a professional Fine Art printer to reproduce the original artwork into prints. The printer uses more ink and prints more slowly to give a more dynamic vibrant print. Printer expertise combined with vibrant colourful original artworks guarantee you the ultimate print. 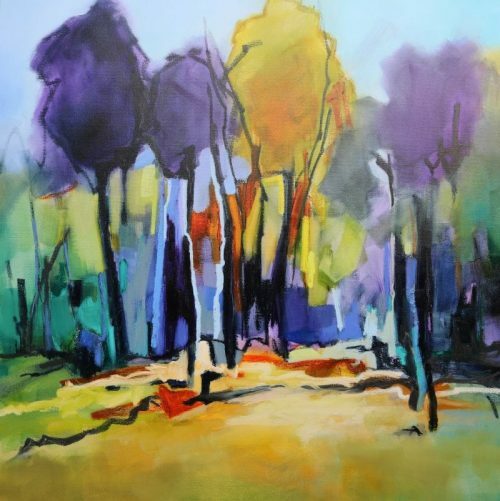 Reflected Trees the original oil painting is 106 cm wide by 106 cm deep on stretch canvas. 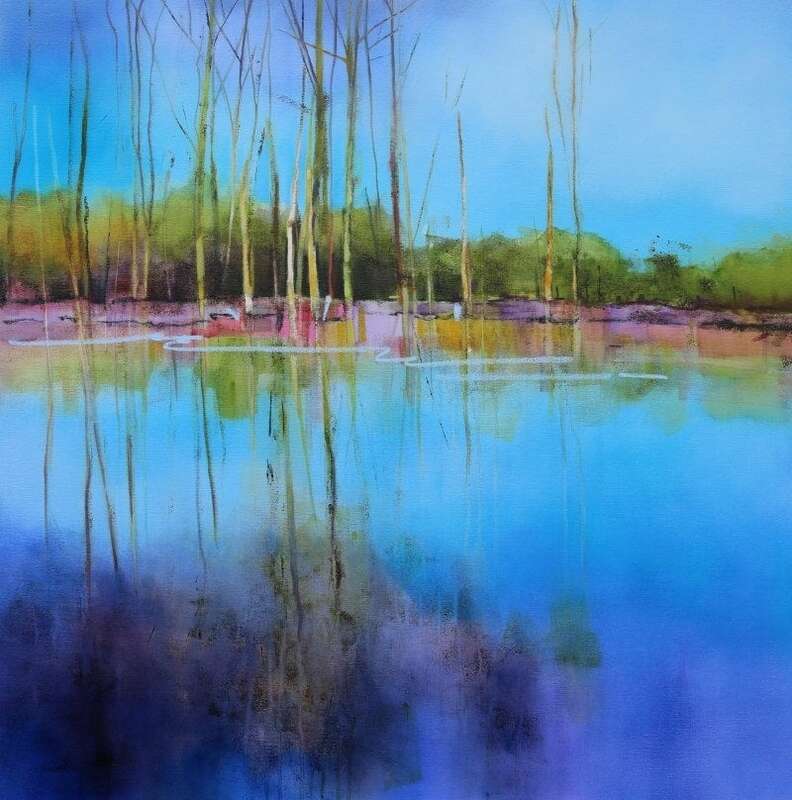 The painting as the title suggested depicts trees on the edge of a still body of water together with their reflected image. 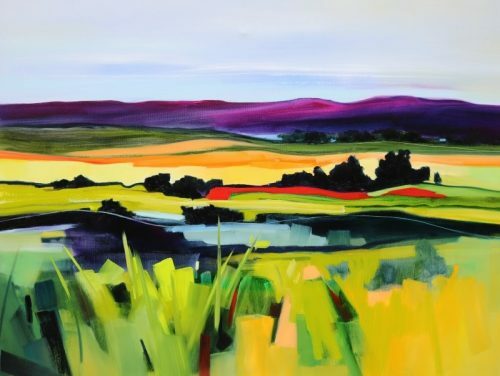 The colours are intense and enhance the emotional response to the beauty of reality and its reflected self. I hope you like it.